Q: How did you become interested in zero waste work? A: I have been a conservationist and climate activist for most of my career. I wasn't focused on issues like recycling (though of course, I have always been a recycler!). I was more focused on energy conservation, alternative transportation as well as wildlife and land conservation. But the more I learned that designing communities with zero waste systems was the fastest, easiest, most cost-effective way we can take immediate and lasting action against climate change, the more I realized that, as a climate activist, I need to work toward this hopeful solution. Q: What does Eco-Cycle do? 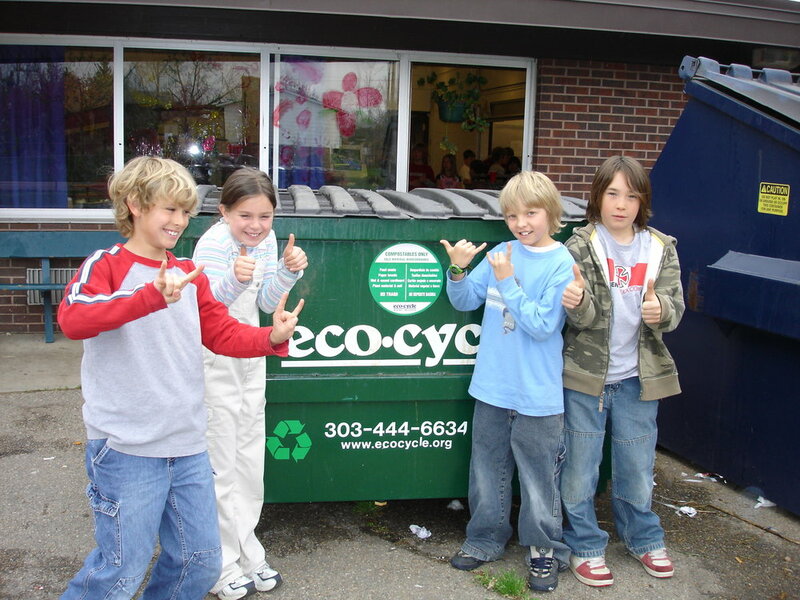 A: Eco-Cycle is a community-based, nonprofit, social enterprise that promotes and implements zero waste. In a nutshell, we use zero waste strategies to help communities make a positive impact on the largest issues of our time, climate change, resource depletion, pollution, loss of biodiversity, and social injustices caused by the way we use and destroy our resources. 1. We change the infrastructure. We innovate new recycling and composting collections and new facilities to serve as alternatives to trash cans and landfills. For example, we pioneered the world's first CHaRM (Center for Hard-to-Recycle Materials) that accepts more materials than any other facility we're aware of, including items such as electronics, plastic bags, textiles and even yoga mats (because we are from Boulder, after all!). We help communities across the nation develop infrastructure to fit their needs. 2. We change the rules. We develop policies to make zero waste easier and more accessible for all, and then share those rules with other communities. For example, we recently helped the City of Boulder adopt a Universal Zero Waste Ordinance where everyone in Boulder, no matter where they go, will find a recycling bin and a compost bin wherever they would expect to find a trash bin. 3. We change the culture. We have nearly 1,000 volunteer Eco-Leaders who are trained in all things zero waste to help us advocate for change, as well as help educate their peers on how to reduce, reuse, recycle and compost. This grassroots groundswell has led to a change in culture throughout our entire community. We help changemakers in every community learn what they can be doing where they live. 4. We change the story. We are shaping the vision of what a zero waste future looks like. If we can all imagine it, we can better justify the societal change that needs to happen and get there a lot faster. Q: What does the term "zero waste" mean to you? A: I think "zero waste" is often misunderstood. People think it basically means "recycle as much as possible," but that is just one element of the concept. Zero waste is a global movement, promoted by a group Eco-Cycle helped found, the Zero Waste International Alliance (ZWIA). ZWIA defines zero waste as "The conservation of all resources by means of responsible production, consumption, reuse, and recovery of all products, packaging, and materials without burning them, and without discharges to land, water, or air that threaten the environment or human health." Putting that in basic terms, zero waste means redesigning our human systems to be more aligned with nature's systems. We think of waste as inevitable; how could you have a world without waste? But there is no "waste" in nature. Waste is a human construct, and it's just a byproduct of poor design. But poor design can be changed. If everything we create is designed with minimal input of natural resources, designed for durability, with little or no toxicity, and to be reused or recycled or composted at the end of its natural life, we don't produce waste, we simply continue to reuse resources. Q: What is one thing you wish everyone knew about zero waste practices? The first is, people often think zero waste is all about changing their own personal habits. That is part of it, certainly, but we won't get to a zero waste future simply by educating the populace and trying to get everyone to make these changes on their own. We need to work together as communities and involve residents, policymakers, and above all, businesses to create widespread change to the systems around us if we are going to switch the default from wasting to conserving. Right now, the person who wants to conserve resources often has to work against the norm to do it. The US is currently way behind the curve on zero waste. In Europe, there is political support and corporate participation in a movement where corporations are held responsible for the entire lifecycle, from production to disposal, of the products and packaging they generate. It's called Extended Producer Responsibility. That's the kind of change we need to create globally. The second is that the goal of zero waste isn't simply to make waste "go away." Our discards represent valuable resources that we need to conserve and reuse, so we don't have to go back to the natural world for more resources. That's why we don't support burning waste for energy; we don't want to destroy the value of these materials (or cause pollution). Even more importantly, the goal is to use fewer natural resources in the first place. Q: Is practicing zero waste important? Why or why not? A: Once we change the systems, it's critical that ALL of us, individuals, businesses, governments, schools, event planners, etc., are practicing zero waste. Each sector has a critical role to play. We all need to participate in building zero waste infrastructure to replace landfills, changing rules and establishing new norms around reducing, reusing, recycling, and composting, as well as redesigning and refusing wasteful products like single-use plastics. It's important because it's the only way forward that will allow us to live in balance with our one planet. All our planet's indicators are telling us that "wasting as usual" needs to change. We are rapidly depleting our resources, while behaving as if they are in infinite supply. If everyone consumed natural resources at the rate we do here in the US, we would need five planets to keep up. And our population is increasing. With more people and fewer resources, it is inevitable that we will be in conflict over resources, (especially water), as they dwindle. Our oceans are choked with plastics and our production of plastics continues to increase. If we continue on our current trajectory, it's expected there will be more plastic than fish in the ocean by 2050. We are already experiencing the effects of climate change and adopting zero waste principles is one of the easiest and fastest ways a community can take action to reduce climate impacts. Climate scientists have warned we have 10-12 years to take significant action on climate change; but simply reducing our emissions will not be enough, we need to bring atmospheric carbon levels back down. We can do that with zero waste practices including applying compost to our soils to build healthier soils and plant growth that absorbs more carbon from the atmosphere and sequesters it in the soil where it belongs, creating "carbon sinks" and actually REVERSING climate change. Finally, if we care about our own health and that of our children, we care about zero waste. Zero waste decreases the toxins in our environment that can lead to significant disease. Q: In your opinion, what is the easiest way for someone to incorporate zero waste into their life? A: Anyone, anywhere can do this one simple thing, regardless of whether you have infrastructure set up in your community: refuse to accept unnecessary products or waste. Don't need a straw? Ask your local restaurant to please ask you first before giving you one. Going for takeout? If you don't need all those disposables, straws, plastic utensils, condiment packages, stacks of napkins, a bag, let them know when you place your order that those won't be necessary (because you have that stuff at home, right?). We can all send a powerful message as consumers that we like to do business with those who care enough to limit their use of disposable items, and together, we can begin a seismic shift toward zero waste. Q: Similarly, what is the hardest way for someone to incorporate zero waste into their life? A: What usually prevents people from being able to live a zero waste lifestyle is the lack of infrastructure. If your community doesn't have a recycling program setup that allows you to recycle from your curbside, that's a huge challenge. No composting collections? You'll need to compost in your own backyard, and many of us live in apartments or places where we have no backyard. When businesses, governments, public spaces, etc. don't provide the option for customers and visitors to recycle or compost, it makes it harder to recover materials and easier to waste them. Q: When you're working with communities to help them work toward zero waste, where do you start? A: Ideally, we start with kids in the schools. If kids grow up with reusable trays in their school cafeterias and recycling and compost bins in their classrooms and halls, this becomes the norm. They become the most educated member of the family around zero waste and they become the teachers and ambassadors in their families. Q: What are the advantages of a zero waste lifestyle? A: Zero waste is, by far, the simplest way YOU can take action on some of the greatest issues of our time. By taking care to recycle correctly, or to compost, or to choose to reuse instead of going with disposables, or refusing unnecessary waste, you can help prevent climate change, prevent pollution that leads to devastating diseases like cancer, and conserve natural resources for generations to come. Not bad for one simple act. But if you're not in it for any of those reasons, there's always the money, a zero waste lifestyle saves money AND it creates local jobs at recycling plants, compost facilities, and at local businesses that accept material for remanufacturing. 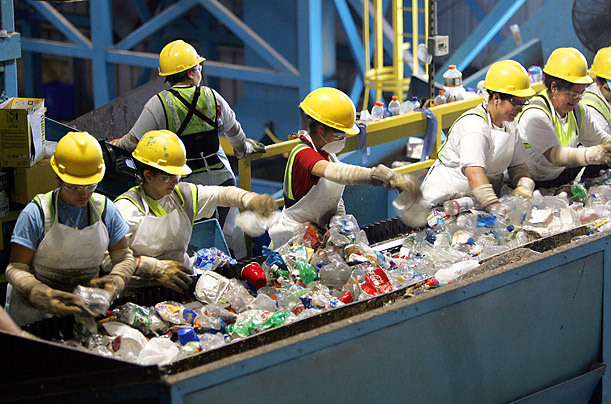 Recycling creates ten times more jobs than landfilling. Q: Are there disadvantages to a zero waste lifestyle? A: The only disadvantage is that you may be working against the existing, wasteful systems, and sometimes that can be challenging. Being the person who says, "No bag please" can feel like you're going against the norm. But do it anyway. The more of us who refuse to go along with "wasting as usual," the more we can change the world for the better. Q: Do you feel that "zero waste" become a fad and/or buzzword? A: No, hardly. Zero waste is coming on stronger than ever in all types of communities all over the world for many reasons. The first one is climate change. According to the US Environmental Protection Agency (EPA), the way we produce, consume, and dispose of our products and our food accounts for 42 percent of US greenhouse gas emissions. That is a BIG piece of the climate change pie! Communities are realizing that by implementing even basic zero waste strategies like recycling and composting, they can have a significant impact on preventing greenhouse gases AND they can extend the life of the local landfill, create new local jobs, and prevent pollution, locally and beyond. There are lots of incentives to move toward zero waste! Q: Do you have any tips for someone who is new to the idea of zero waste? A: Start with the basics. If you're not recycling, it's easy, and according to former US EPA Director, Lisa Jackson, it's the single best thing you can do for the environment. Go to your community's website to make sure you're recycling what's collected in YOUR community (don't just go by what the packaging says, as not all communities recycle the same materials). If your community doesn't offer recycling, find out if your waste hauler does. Recycling alone is a critical first step, and it matters. From there, you can learn a lot about how to change your own community and how to change your personal lifestyle at www.ecocycle.org. Q: What are some of the best ways that businesses can pursue and/or support zero waste practices? A: Form a "Green Team" made up of employees from all departments and have them start with the basics. Get recycling services going. Make sure that wherever there is a trash can there is also a recycling bin that has clear signage on it about what is and isn't recyclable. Ensure that the cleaning service team is putting recycling in the recycling dumpster out back, not in the trash (it's amazing how often this is the place where the system breaks down). Then work as a team to go a little deeper. Businesses can look at their products, packaging, and systems to find ways they can reduce their waste and environmental impact. It can be as simple as replacing disposable cups in the break room with reusables. (Make sure those disposables disappear to change behavior!) Or it could be much bigger. An employee in the shipping department of a clothing manufacturer realized they were using perfectly good cardboard boxes one time, then tossing them. She had the idea that they could be reused over and over and then recycled. She started a fun incentive program where employees put a stamp on the box every time it was reused to see how many times it could be shipped. It became a game and a great way to raise awareness and creativity around other similar opportunities. The CEO was happy, too, this simple solution saved the company thousands of dollars! Q: What's the most unique thing that someone has brought to Eco-Cycle's facilities?